Discover Lehigh Valley along with ArtsQuest™ welcomed Johnson & Johnson TEDx (TEDx JNJ) May 3 - 6. Johnson & Johnson employees embarked on Bethlehem and Lehigh Valley for the event that encouraged idea sharing, innovation, networking, and so much more. Headquartered in New Brunswick, NJ, Johnson & Johnson selects a nearby location for the site of this annual TEDx event. Almost 1,000 employees flocked to the ArtsQuest™ campus for this four-day event, which also streamed to additional sites on five continents. The planning stages for this event started back in 2013, with the initial hope of hosting the event in 2014. When that didn’t work out, the staff of ArtsQuest™ turned their full attention to hosting TEDxJNJ in the spring of 2015. The full SteelStacks campus was involved for this event, with many events taking place over the four-day presence of Johnson & Johnson. Perhaps one of the most notable highlights of the event was the public session hosted on Monday, May 3. This free event featured Lehigh Valley TEDx speakers taking the stage of the Levitt Pavilion to address both Johnson & Johnson attendees and Lehigh Valley residents. Speakers for this public event included Jon Lunger of ArtsQuest™, and psychologist Robert M. Gordon. Attendees of the TEDxJNJ event stayed in local hotels and enjoyed many of the dining facilities that downtown Bethlehem has to offer. ArtsQuest™ is a non-profit company located on the former site of Bethlehem Steel. They host many community events including Musikfest, Oktoberfest, Soccerfest, and more. 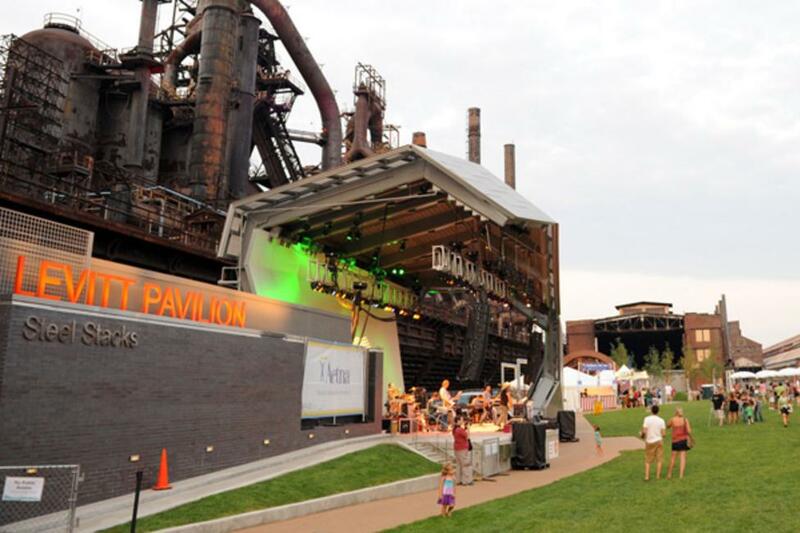 During summer months, over 50 free concerts are hosted at the Levitt Pavilion alongside the stunning outline of SteelStacks, the remaining blast furnaces from the days of the active steel plant. ArtsQuest™ is host to many meeting and corporate events of all sizes. For details, visit artsquest.org.